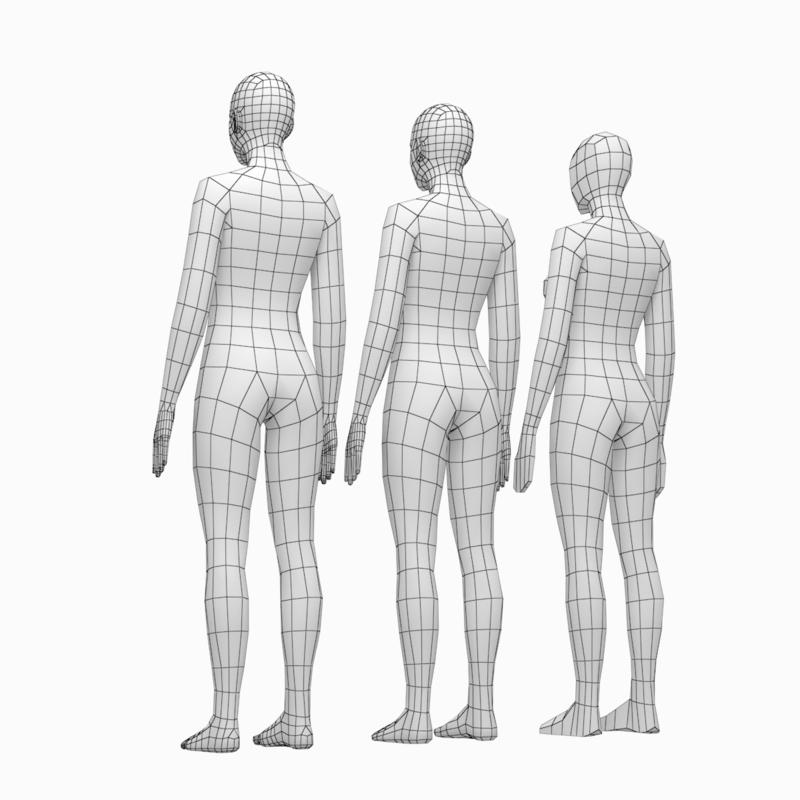 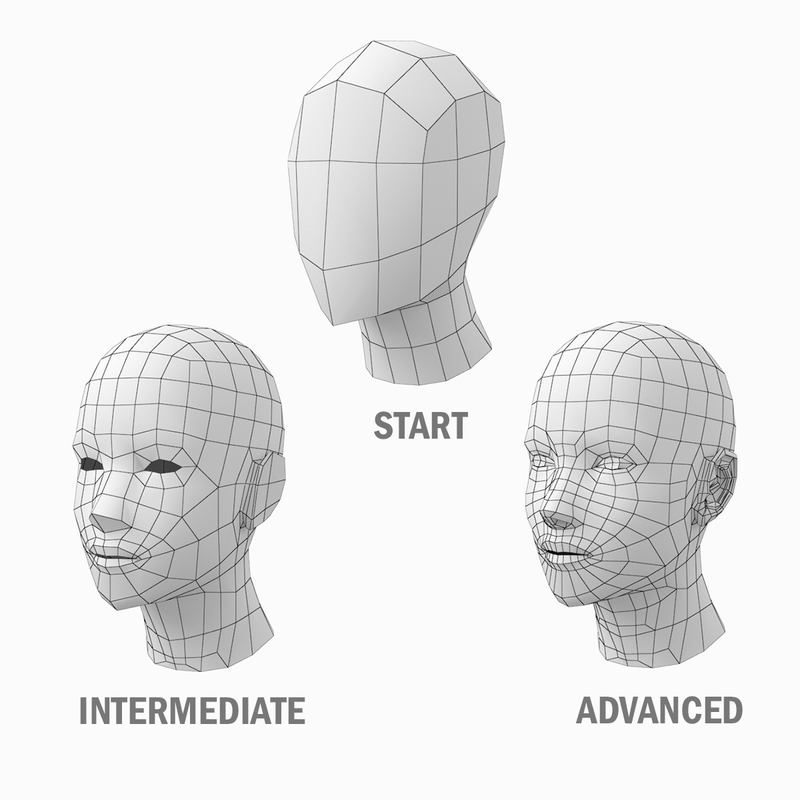 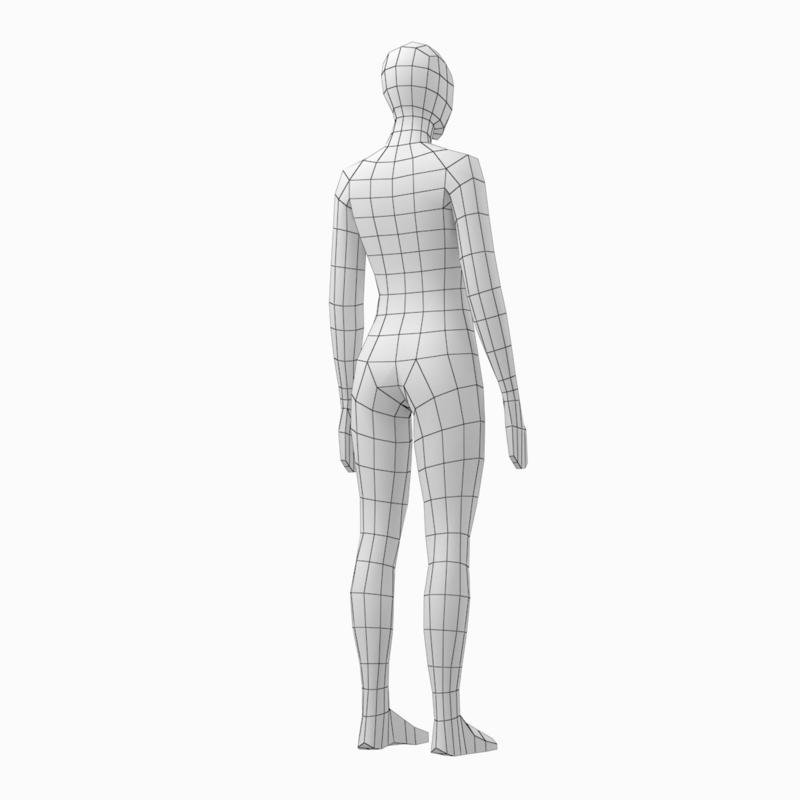 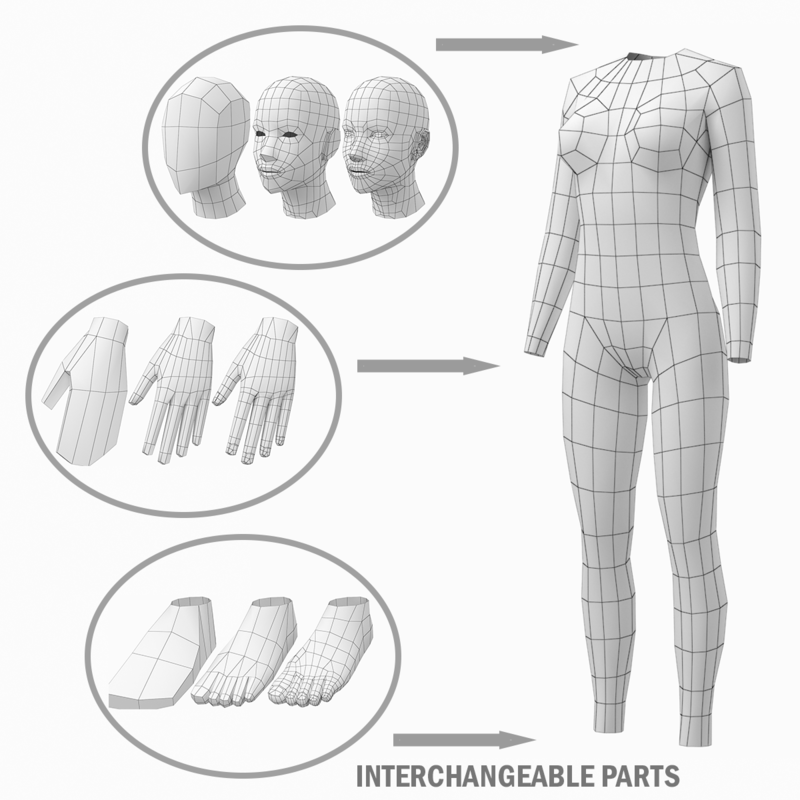 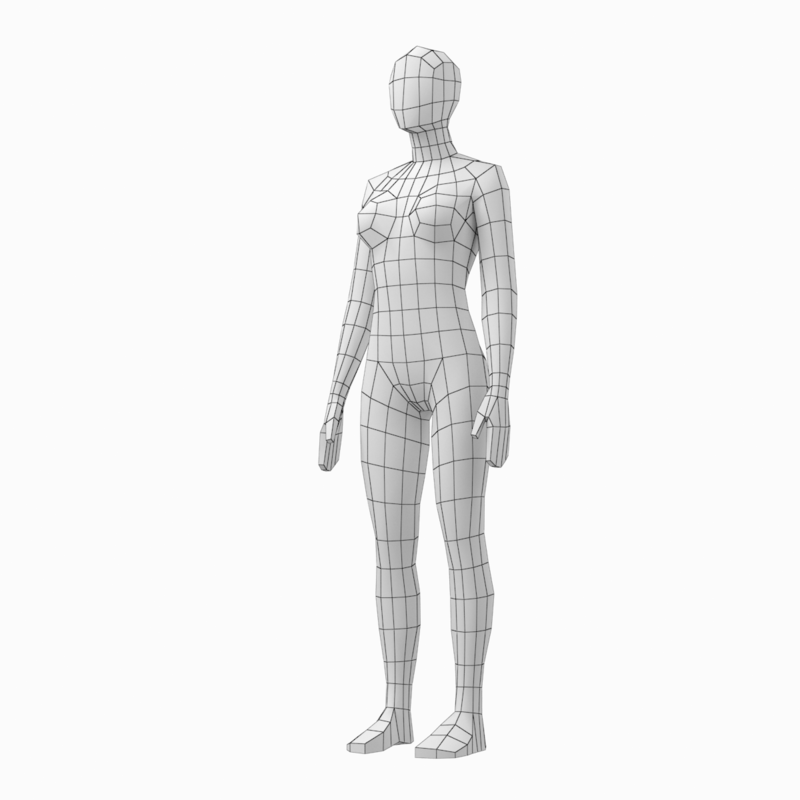 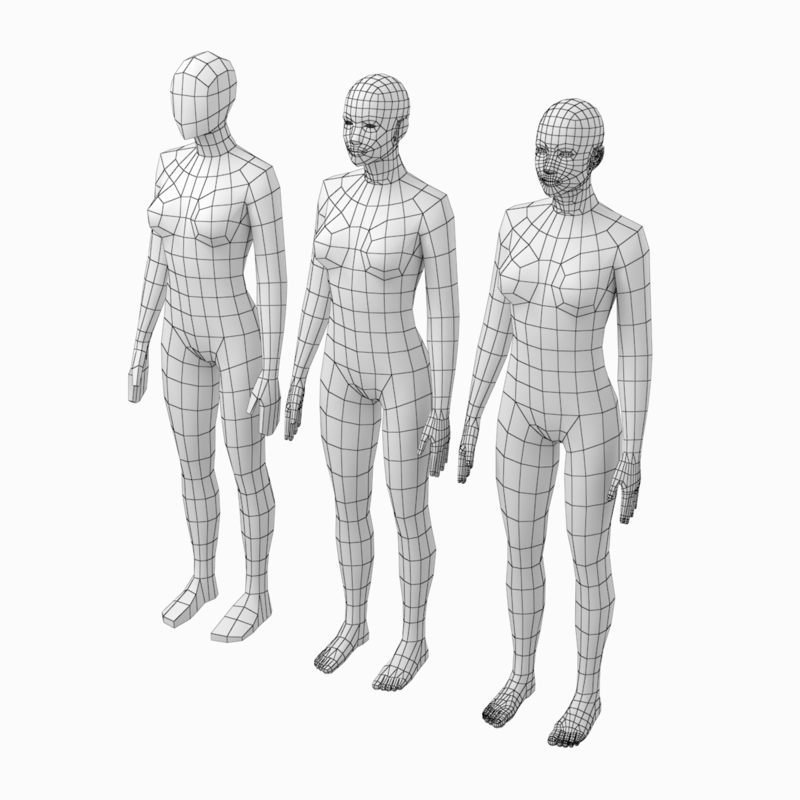 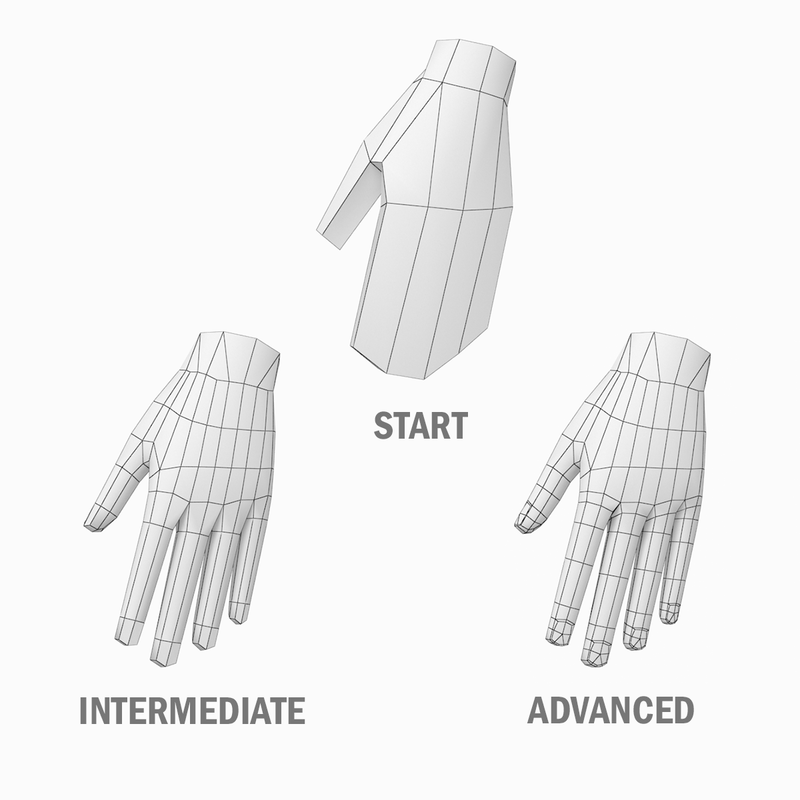 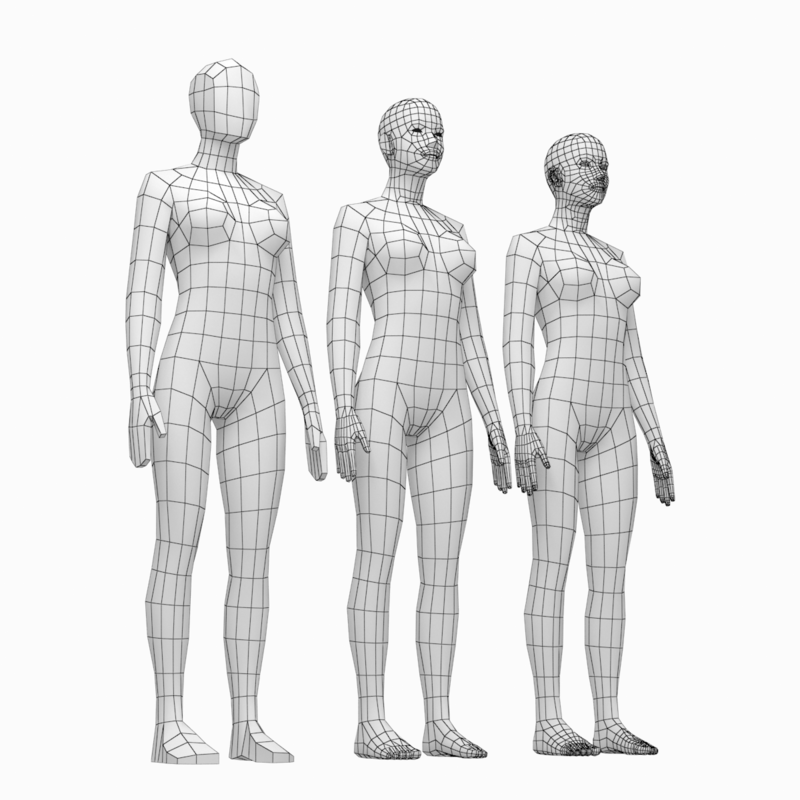 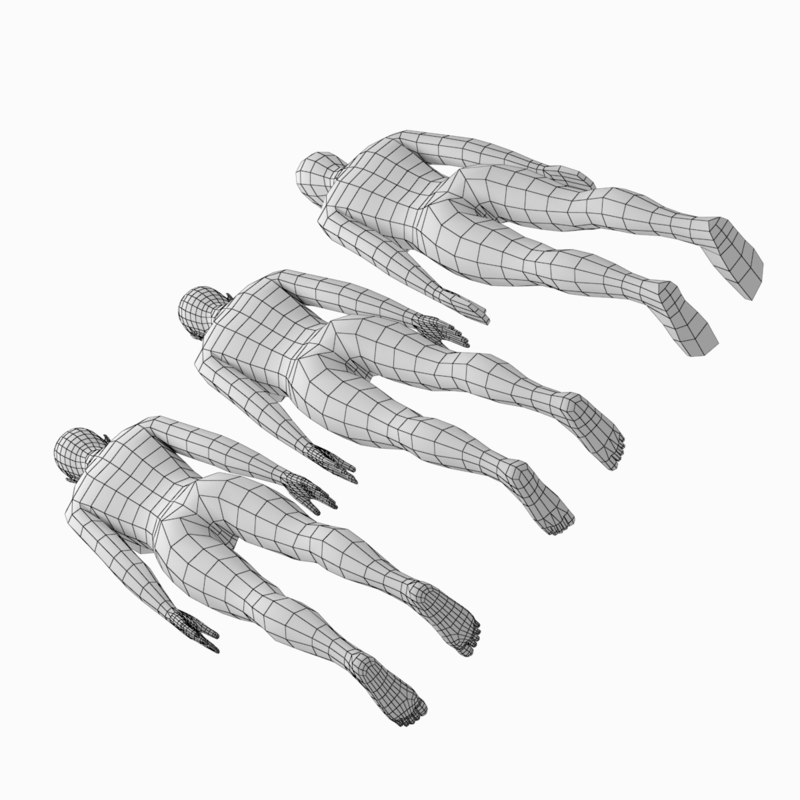 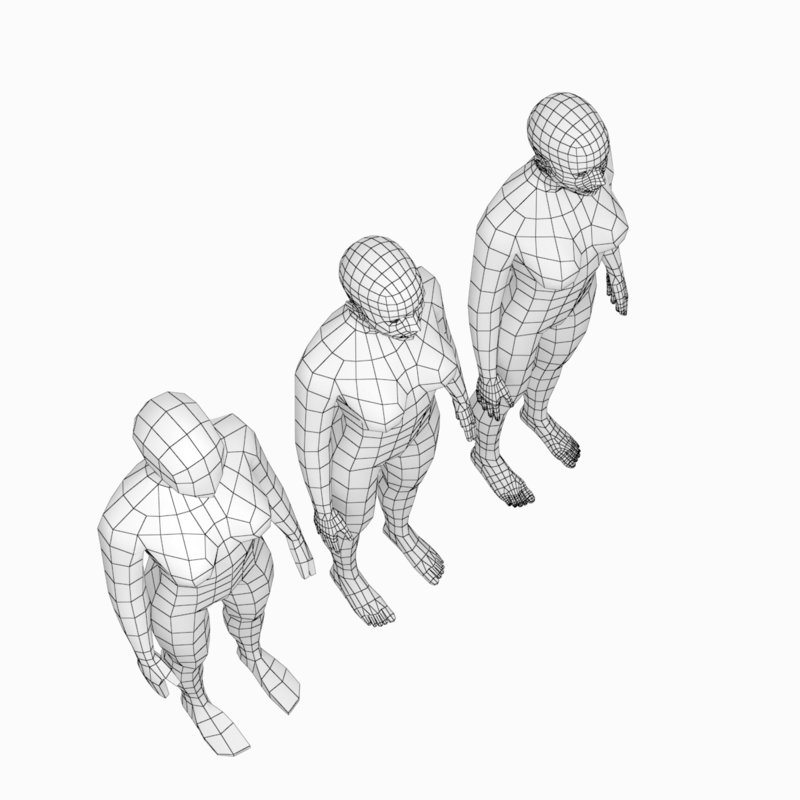 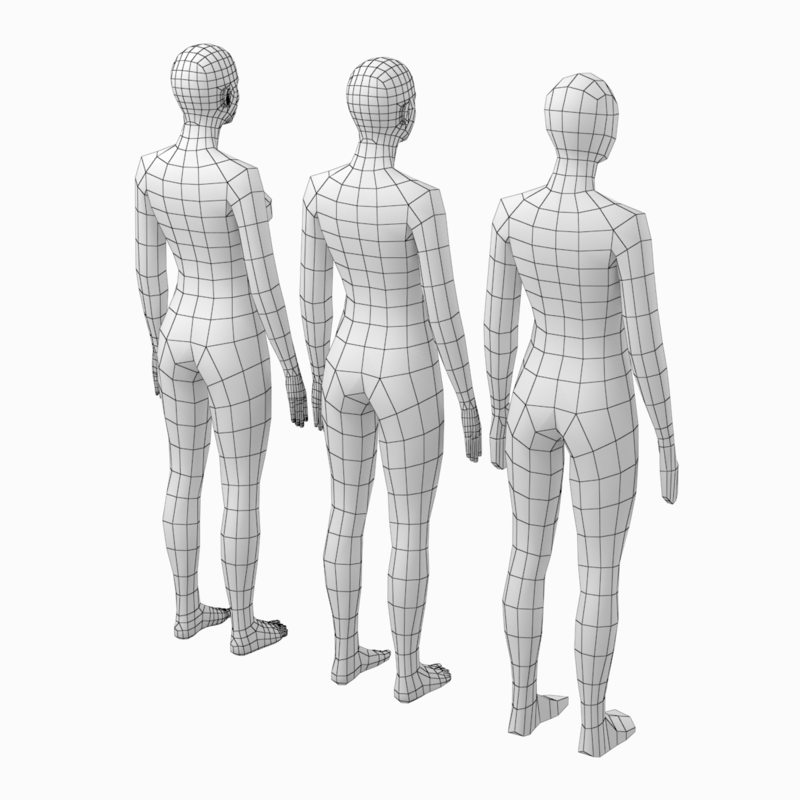 High-quality accurate models of human female body with natural proportions in low-poly base mesh. 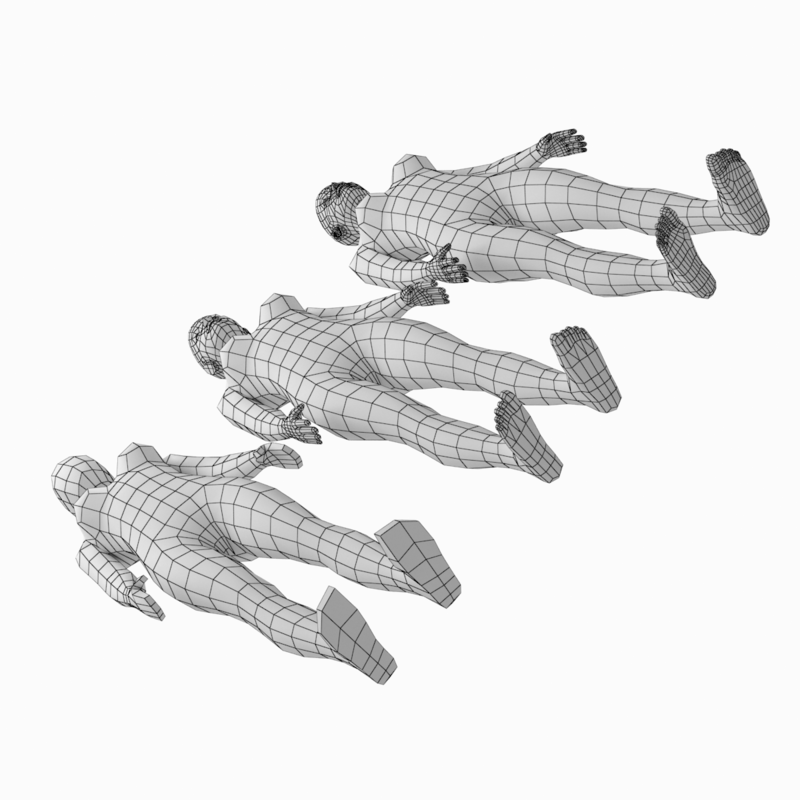 Head and limbs positions are equal, so they can be easily combined to specific needs. 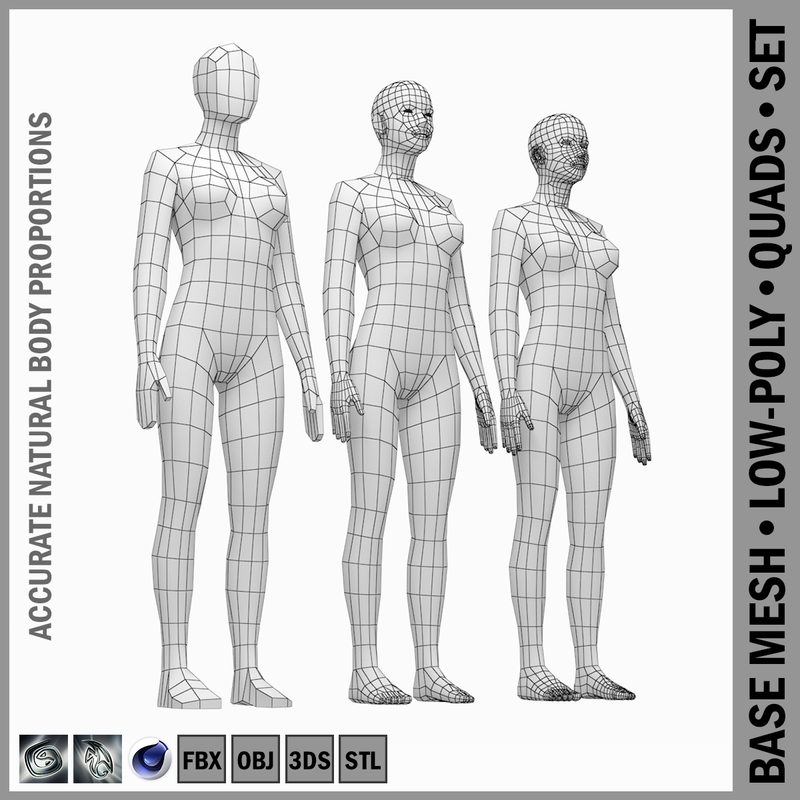 The model is good as a basis and 3D reference for modeling and sculpting adult human, humanoid, android female bodies with natural proportions. 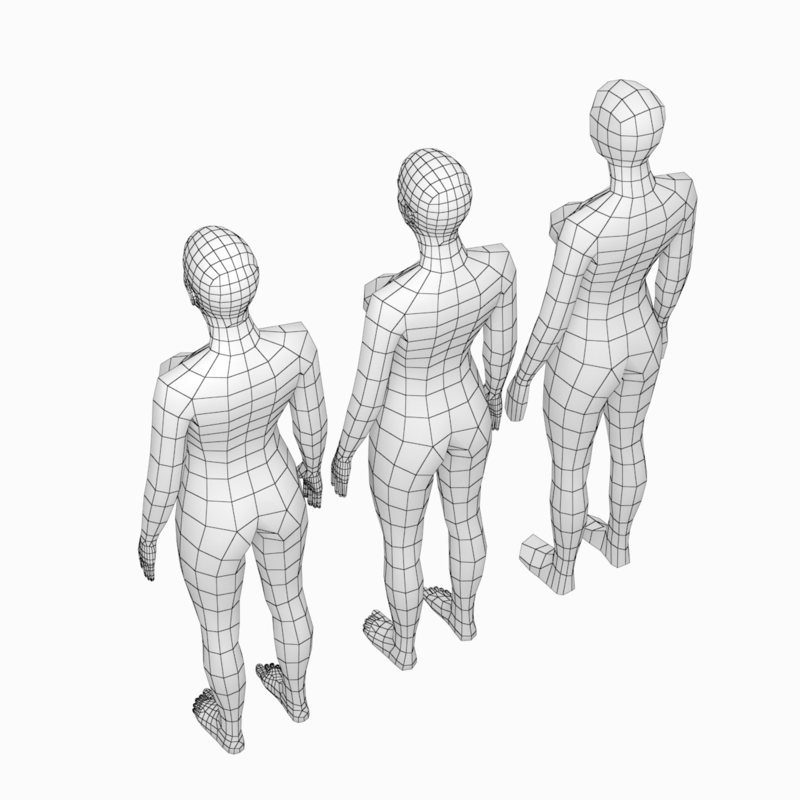 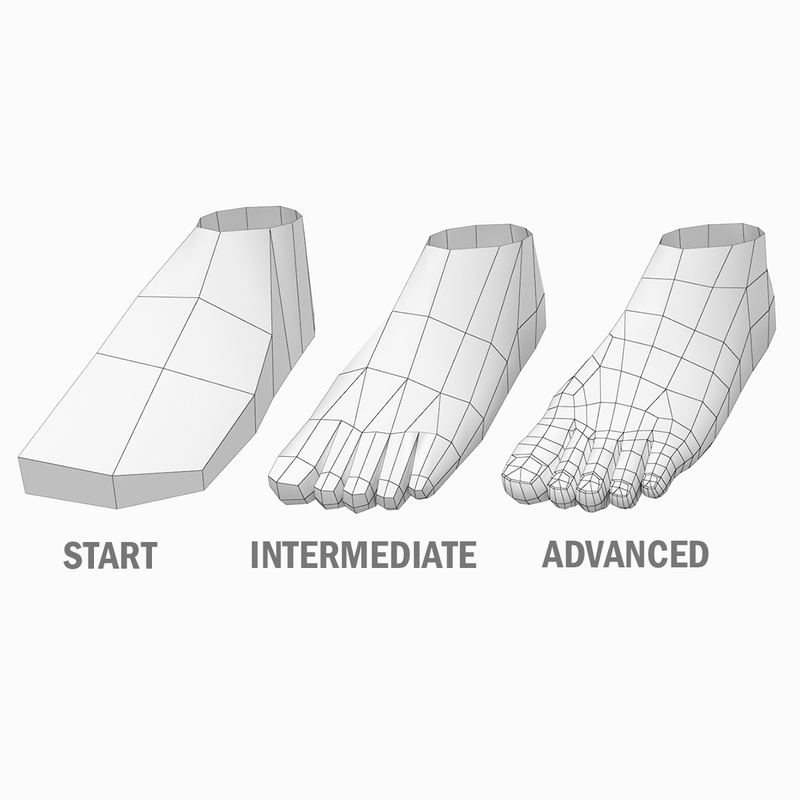 3DS, FBX, OBJ, STL file types were exported from Autodesk 3ds Max®.